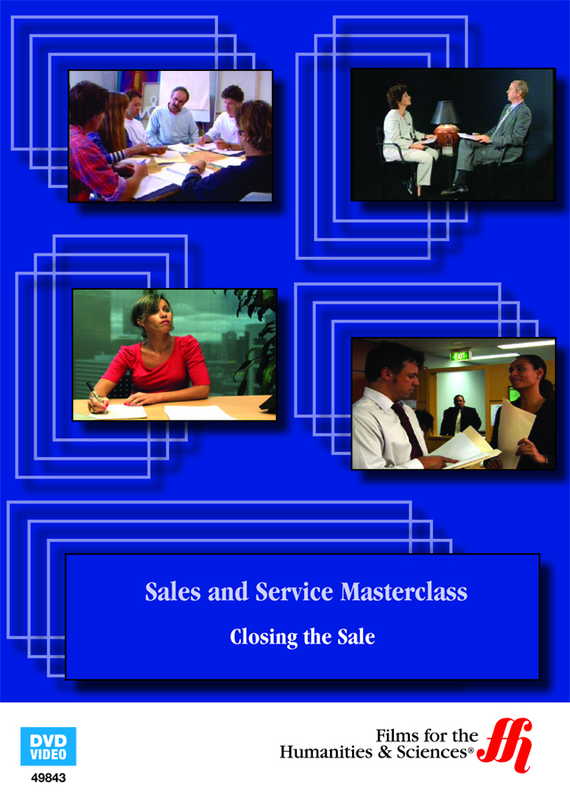 Closing the sale is perhaps the toughest elements of business development. Sales representatives charged with the enormous responsibility of sustaining companies with their knowledge and skill in the area of client relations. Business professionals acknowledge that the difference between an entry level sales person and a masterclass business development professional, is experience and managerial skill. How well a sales representative performs has much to do with product or service sold as well. 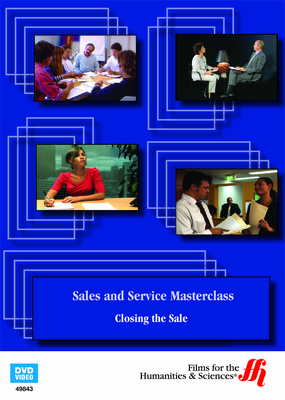 Closing the Sale: Sales and Service Masterclass (2009) shows how highly effective business development professionals build a loyal clientele, thus ensuring the future profitability of the organization they serve. In program includes a panel discussion about conventional sales approaches to business development. The art of the sale must be mastered say sales experts, in order to redefine the customer relationship as one of equity. Clients are an asset, as well as stakeholders in the process. While analysis on customer retention support this claim, churn must also be looked at from the perspective of competition. The video addresses how to use competitor value to your advantage when closing the sale. This film offers insight into power terminology, as well as common misconceptions about establishing a customer’s commitment. Incremental approaches to trust enabling at various stages of the sales development process are more effective than techniques such as up-selling or pressure selling, once thought to be adequate approaches to client relations management. Highly recommended for anyone involved in the business of selling. Educational materials accompanying the video are available online.